Lakes in Central Texas continue to shrink because of the drought. 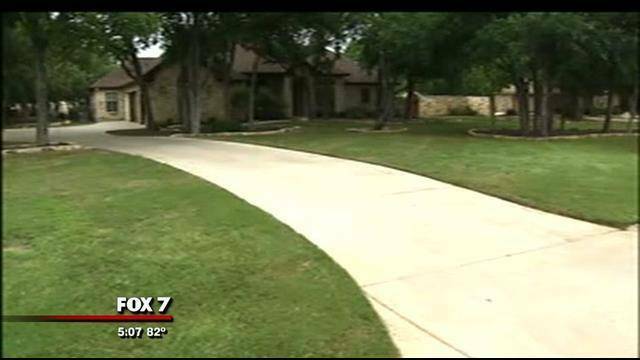 Tuesday members of the Georgetown City Council will vote on a plan to reduce the amount of grass that can be used for new homes. Recent rains have done a lot to keep lawns green in Georgetown, but so have irrigation systems. It’s estimated, during the summer months 75 percent of the daily water use in town is for watering lawns. “Right now, we have enough water to meet the current demand, probably enough for the demand for a while, the issue is we are at about 56,000 that our water utility serves and we are projected to go to 200,000, and if we use at the current rate, we will not be able to meet that future demand,” said city of Georgetown spokesman Keith Hutchinson. Tuesday night Georgetown City Council members will consider a new ordinance to reduce the amount of grass that can be installed for yards in new home construction. So it’s putting a box on the irrigated turf area, there can still be other landscaped areas in a yard, there’s been a misconception that its limiting a yard size and that’s not the case. What we’re talking about is the irrigated turf area of a yard,” said Hutchinson.